Sol. Securities Appellate Tribunal is a statutory body established under the provisions of Section 15K of the Securities and Exchange Board of India Act, 1992 to hear and dispose of appeals against orders passed by the Securities and Exchange Board of India or by an adjudicating officer under the Act and to exercise jurisdiction, powers and authority conferred on the Tribunal by or under this Act or any other law for the time being in force. Q2. Which of the following is a function of SEBI? 1. To approve by-laws of stock exchanges. 2. Inspect the books of accounts of financial intermediaries. 3. To require the stock exchange to amend their by-laws. 4. Compel certain companies to list their shares in one or more stock exchanges. Q3. Which of the following services is NOT provided by the post offices in India? Sol. Issuance of Demand Drafts is NOT provided by the post offices in India. Sol. Credit rating is an analysis of the credit risks associated with a financial instrument or a financial entity. An assessment of the creditworthiness of a borrower with respect to a particular debt or financial obligation. Q7. Loans against the security of shares, debentures and bonds should not exceed the limit of Rupees _______________ per individual if the securities are held in dematerialised form. Sol. Loans against the security of shares, debentures and bonds should not exceed the limit of Rupees ten lakhs per individual if the securities are held in physical form and Rupees twenty lakhs per individual if the securities are held in dematerialised form. Such loans are meant for genuine individual investors, and banks should not support collusive action by a large group of individuals belonging to the same corporate or their inter-connected entities to take multiple loans in order to support particular scrip or stock-broking activities of the connected firms.Such finance should be reckoned as an exposure to capital market. Q8. The process by which the central bank of a country controls the supply of money in the economy by exercising its control over interest rates in order to maintain price stability and achieve high economic growth is known as? Sol. Monetary Policy is the process by which monetary authority of a country, generally a central bank controls the supply of money in the economy by exercising its control over interest rates in order to maintain price stability and achieve high economic growth. In India, the central monetary authority is the Reserve Bank of India (RBI) is so designed as to maintain the price stability in the economy. Q9. Who amongst the following is the regulator in the financial system of the country? Q10. Bank Holidays are covered by which of the following? Sol. Bank Holidays are declared by Central/State Governments/ Union Territory under the Negotiable Instruments (NI) Act, 1881. Sol. Regulator for the Indian Corporate Debt Market is the Securities and Exchange Board of India (SEBI). SEBI controls the bond market and corporate debt market in cases where entities raise money from the public through public issues. Sol. 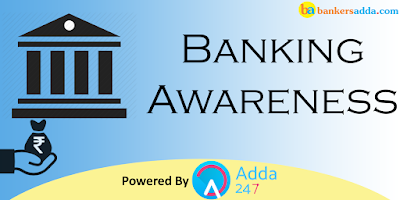 To become BBPOUs, Banks and non-bank entities are mandatorily required to apply for approval/authorisation to Reserve Bank of India under Payment and Settlement Systems (PSS) Act 2007. Bharat Bill Payment Operating Units (BBPOUs) will be the authorised operational units. Q14. Which of the following will function as the Bharat Bill Payment Central Unit (BBPCU), the single authorized entity operating the BBPS?